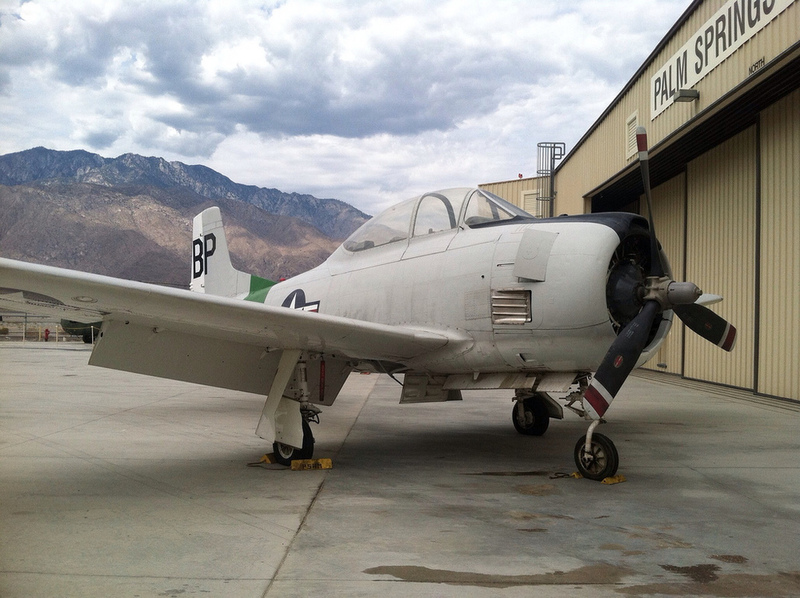 Getting Out of L.A. with Dan's Parents - The Palm Springs Air Museum — Always Packed for Adventure! Amid the lure of outlet shopping, aerial trams and date shakes, exists one of the hidden gems of Palm Springs, The Palm Springs Air Museum. Located right next to the Palm Springs Airport, the museum boasts one of the worlds largest collections of WW2 era planes, many of which are in flying condition. I've been to Palm Springs many times and had never even heard of this place until my most recent trip with Dan and his parents. I really think that it is the best attraction that the area has to offer. It was made even more interesting by Dan's dad, who is a retired flight engineer. However, barring having your own guide, the museum is filled with knowledgable volunteers eager to answer questions. The museum is enormous and mercifully air-conditioned, as we visited on a sweltering hot day in September. 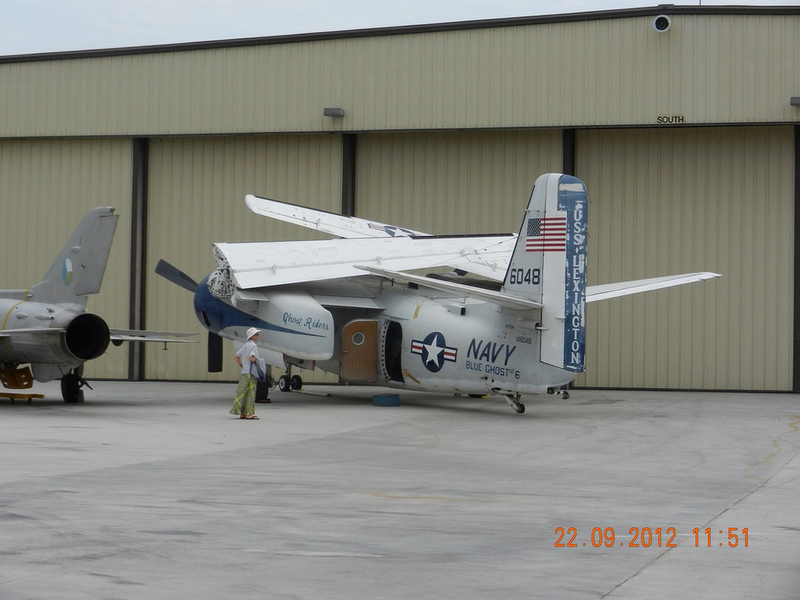 We started off with viewing the aircrafts that are on display outside. I could have spent more time looking at them and reading the displays, but it was just too hot. One of the best aspects of the museum is the accessibility of the exhibits. Visitors are able to walk around all sides of the planes and get really close views, even climb in a few planes or up steps to peek in the cockpit. Here are pictures of some of the planes outside. Inside, the museum is broken up into two giant hangars, one for each theater of war, Pacific and Europe. 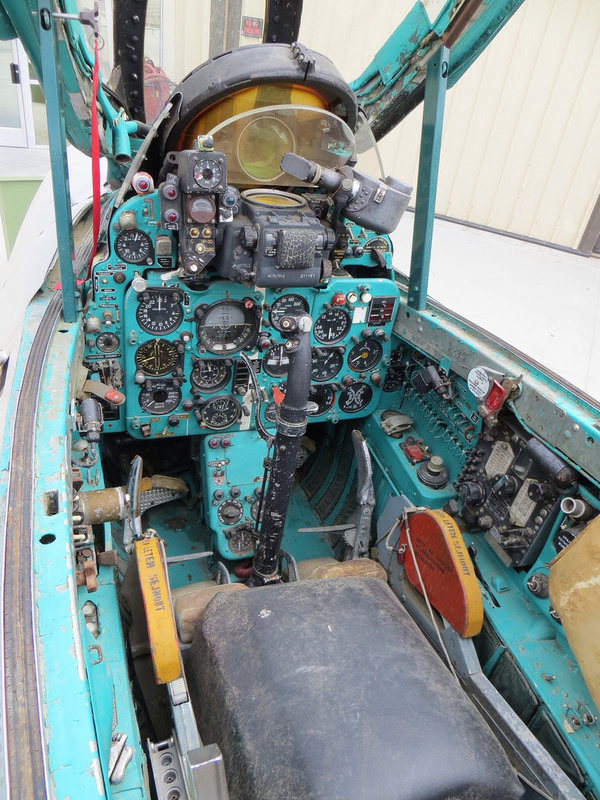 The planes are in the middle and around the edges are displays and artifacts of the era. In particular, I enjoyed the section on female pilots in the Pacific. They had a great documentary that I spent maybe twenty minutes watching that featured interviews with female pilots, primarily focusing on the obstacles that they had to overcome due to their gender. Many of the exhibits in both hangars dealt with personal stories of military personal, not just the bigger figures that everyone knows from History. The museum had an overall personal touch, with many former military men and women acting as volunteers, ready to answer questions and point out interesting facts and their own experiences. Here are some pictures from the interior part of the museum. This is a very small sampling, as the museum was huge! There are lots of grandpas to keep an eye on in this place, but they might not belong to you! Upstairs the museum has a huge library that would be a great place for History or aviation buffs. This museum is a tremendous resource and a great place to learn WW2 History in an exciting way. Many years ago in college, I took a semester long class on the Military History of both the World Wars and I wish that I had known about this museum. It is worth the drive from Los Angeles. Most of the museum might be dull for little kids, but they have made the effort to make it as family friendly as possible. There are many displays geared towards younger visitors and the highly interactive components would probably keep their interest. They also have a nice little cafe to take a break. The museum could easily take a few hours to most of a day depending on the visitors interest. Here are a few last pictures from the front of the museum, where they have even more exhibits! Me, standing with an enormous propeller. I have absolutely no idea why the statue is in this pose, but I had to join him.